Is Canola Oil Making You Sick? I’ve become so familiar with my local grocery stores that I’ve reached a point where I almost don’t even notice the unhealthy products staring at me from the shelf. It has almost become habitual for me to stroll down the aisles and quickly grab the products I know and love. The other day I paused for a moment and took at glance over my shoulder towards the shelves of various cooking oils. I had almost forgot how overwhelming this section can be! Olive oil, sunflower oil, safflower oil, peanut oil, coconut oil, canola oil, unrefined, first pressed, cold pressed, virgin, extra virgin … the choices go on forever! As our society begins a shift back in the direction of more health consciousness, it’s easy to see why so many people are still struggling. Fats and oils are one of the most crucial aspects to our health. Consuming adequate amounts of good quality fats is essential to restoring and maintaining our well-being. After all, every cell in your body are comprised of fats which make up the cell membrane. If we are consuming poor fats, then how can we expect any cell within us to be functioning optimally? Thank you for your Canola information. I am sensitive/allergic to this product, even when it is in bloom in the field. We began watching ingredient listing labels more closely. and it is surprising how many products are now made with Canola rather than Olive Oil. Should this be brought to the attention of the public and possibly to CFIA? I first tried a mixture of olive oil with canola oil. I fried a coupe of eggs and ended up with an extremely bad headache that lasted several days. And that was canola oil mixed with olive oil! The problem for me is that stores think canola oil is healthy so many stores, even Trader Joe’s use canola oil in their store brand products which means I can’t eat many , many items. It is so frustrating to me! I am allergic to gluten, wheat, HFCS, sulfites, nuts, nut butters and oils, nitrates and canola oil. I wish that more buyers for grocery stores understood the dangers of canola oil! I am sure there are many, many people like me who cannot eat food made with this horrible oil! Do you know any symptoms of rapeseed poisoning? Or allergy? I have struggled with this for sometime now. For a long time I could not figure out what was bothering me. Itchy watery eyes, sore throat, chest tightness, coughing. Then I had allergy testing with a Natural doctor and found that I am allergic to Canola/Rapeseed. Trying to find foods without it in a grocery store is almost impossible. I have started shopping at the health food store since they don’t have products with canola in them. All symptoms went away when I stopped eating canola. I have never been allergic to anything all my life.I am 66.5 years ago I developed a severe allergic reaction to Rapeseed oil.It took me a year to discover that it was the Rapeseed content of the food that I was eating was the cause.It triggered an autoimmune condition condition which I now have to live with. But its disturbing to find that Rapeseed oil is grinding its way into more and more foods. I just wanna say, I stumbled across this as I sat in agony in my bathroom. Tmi? Sorry. But it’s the truth. Not long after consuming a meal prepared in canola oil a week or so ago, I ended up with “heartburn” then cold sweats, extreme abdominal pain and I ended up being a human geyser from both ends. Tmi again? Sorry. But it’s still true. I figured I had a bug or something and didn’t think much about it. But after having the same episode tonight, I know it’s got to be the canola oil. I have a strong gut but that stuff is horrible. If it’s got ME cryin in the bathroom, then it’s some gnarly stuff. I’ll never cook with it again and will warn anyone I get the chance to. My son had severe eczema in his childhood and no doctor found a reason. He has been studying and working in Europe for twenty years, almost eczema free. Canola oil is not widely accepted in Europe. Since his return, the skin problems have returned, badly. We suspected canola, don’t know why, but it seems that we are right. He ate a commercial battered fish product and immediately his hands erupted. Today, he had a pepperoni Yves product and is in agony, bleeding hands. It is upsetting that canola is in almost every product here. What is happening in more subtle ways, to Canadians ? Thank you on the article about canola. It is a dangerous food! The government has put a label on it that says…healthy! Yet, they removed this oil from cattle feed that was causing mad cow disease. It is all about greed! Money! They are now giving it to our pets. You cannot hardly find a pet food without it. Because more money is spent on pet care than on ourselves! I did my research on this topic after I kept getting pneumonia. The only thing different I was doing was baking in the winter with canola. Since I stopped using it 8 years ago I have not had pneumonia or edema since. Soon they will be able to put this dangerous chemical in food without our knowledge because a new law that had been recently approved. Have eaten a Loud Grossman sauce containing Canola and within an hour developed a headache,runny eyes ,upper jaw pain and red face. This lasted for several hours relieved by antihistamines during the night. Had not eaten the sauce before and canola seemed to be the unfamiliar ingredient. It seems Canola Oil creates a rash on my throat, tightness in the chest, a bubbling noise up the esphogus, general fatigue, horrible. All I know is my SO cannot tolerate whatever they cook food in when we go to local breakfast and diner spots. But if I make the same stuff he’s good with no digestion issues. That being said we do use Avocado oil, Olive oil, and Peanut oil plus high quality butter. I do not buy Canola at all, nor corn or vegetable oil. As soon as I stopped eating anything with canola, my stomach pain and GERD disappeared 100%. It makes my stomach burn and cramp. All these years I thought it was garlic… but I never understood why I didn’t have those symptoms when I live in Spain (they use olive and sunflower oil!). I have been suffering this way for years and no one was able to figure it out. Now I know it’s canola sensitivity. And it’s in EVERYTHING. Eating in restaurants or anything not home-made has become nearly impossible. Yesterday I accidentally had 2 bites of a something with canola, and my stomach has been in pain ever since. My tongue and lips swell slightly whenever I eat something fried in canola oil. It’s not a severe reaction, mostly it is an uncomfortable feeling. Tonight I ate a few tortilla chips, and knew almost immediately they were fried with canola oil. I need to pay closer attention to labels! It’s a yucky feeling. Lesson learned. Read labels and know that canola oil is not for me. I have a severe reaction to canola oil. First my throat becomes sore, infected (tonsillitis and even red and purple streaks, then I get cold symptoms, vertigo and constant mucus and congestions and this can go on for months. Soybean oil also causes a reaction but it is usually over in a day and not as severe. I avoid oils as much as possible, preferring to oil saute, using oil only as a release agent. I prefer oils in the whole foods context since only flax oil has a favorable omega 6:3 ratio. I get plenty of fats from my foods without adding anything extracted. Canola is just about everywhere so I rarely eat out as I feel like a pest when I have to check every ingredient on a menu. Thank you so much for the information provided. I noticed that even a little amount of canola oil in breads, muffins, or anything else leave me with an after taste and ruins whatever I eat. When I bake at home, I use very good quality butter, and don’t get any after taste. I was on a gluten-free diet for a while, and though I love when I go gluten-free, the majority of the gluten-free breads contain canola oil, which will make them softer, but it is impossible to eat them without just tasting the oil. I recently found some gluten-free bread with no canola or any other type of oil in it. I haven’t tried it yet, and it felt very hard to the touch, but I’m sure it won’t leave any oil after taste. For years I have tried to avoid foods processed using Canola oil because it causes me headaches and gastric distress. 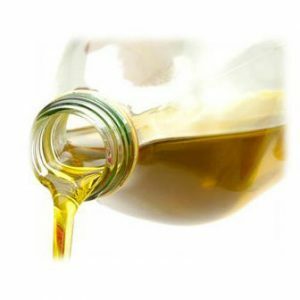 This oil has found its way into so many peocessed foods, it is hard to avoid. Labeling is tricky because it is often listed along with several alternative cooking oils on the label, saying something like “vegetable oil (safflower, corn, palm or canola oil)”. How can companies get away with presenting product content using such language? Is any progress being made in the banning, or at least requiring a warning label?